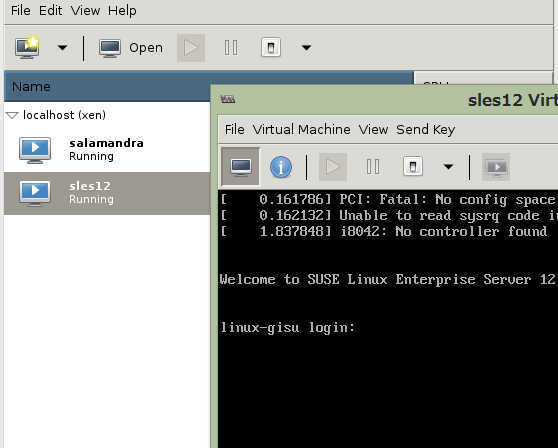 Welcome to SUSE Linux Enterprise Server 12  (x86_64) - Kernel 3.12.28-4-xen (xvc0). domain will result in errors when virsh or virt-manager is used. Please use only virsh or virt-manager to manage this domain.